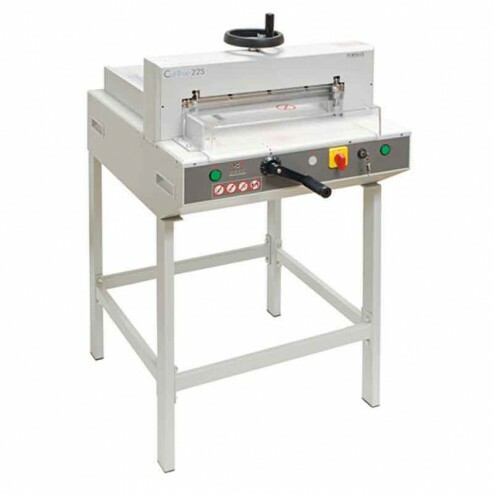 The Formax Cut-True 22S Electric 16.9" Paper Cutter saves time and money. The Formax Cut-True 22S Electric Paper Cutter accurately cuts through paper stacks up to 1.75" high, up to 16.9" wide. Semi-automatic with electronically-controlled two-hand operation. Spindle-guided back gauge has a LED display and LED laser cut line for pinpoint accuracy.